Originating in the Philippines, this purple hanging flower known as a Chandelier Tree, is a gorgeous addition to the islands. The trees can be seen outside many homes and in tropical gardens. 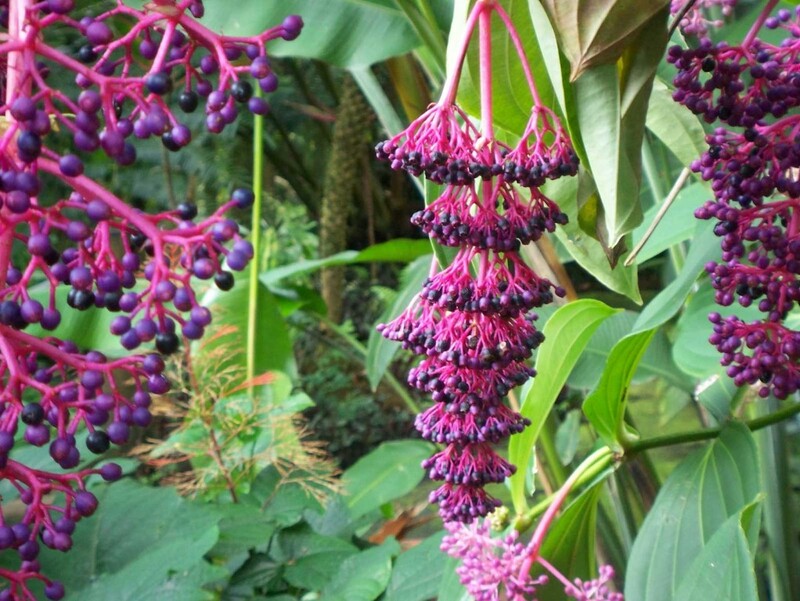 Reminding us of fireworks, the Medinilla cumingii is also appropriately called Showy Melastome, Showy Medinilla, or Malaysian Orchid. This particular stunning plant was photographed at the Hawaii Tropical Botanical Garden near Hilo on the Big Island of Hawaii.